Jim Watkins, Ph.D., did not factor ALS into his retirement plans. At 67, the Arizona resident was still happily entrenched in his higher education career. He had hoped to one day spend his retirement years fishing, traveling with his wife and giving back to his community. His diagnosis last summer changed everything forcing Watkins to make some very difficult quality of life decisions. Watkins recalls shortly after his first clinic visit sitting down with his wife and deciding to forgo extreme measures with regards to his care and treatment. 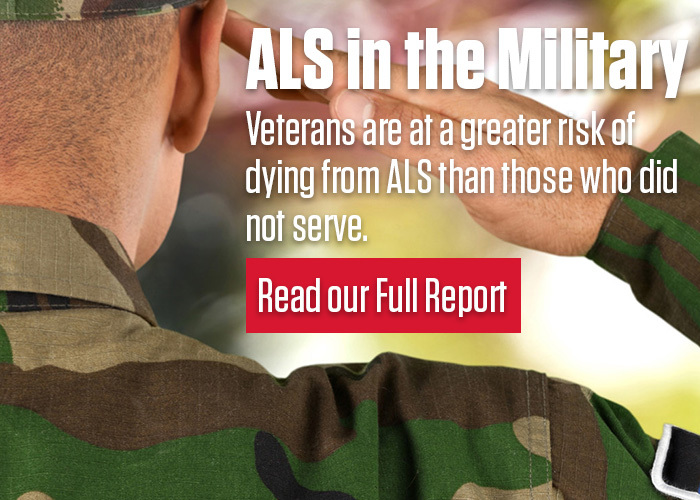 Watkins credits having already discussed these issues with his wife, when they updated their wills and advanced directives years before ALS ever came into the picture, with making the decision process a bit easier. Both had agreed against any invasive procedures to prolong life regardless of the circumstances. Ultimately, Watkins’ respiratory care plan came to reflect the quality of life he had envisioned for himself, which meant forgoing a tracheostomy. Breathing has already become a struggle for Watkins who acknowledges most of his time is now spent watching TV and reading. Watkins finds he has been limited with where he can comfortably travel with his motorized wheelchair citing challenges with even handicap accessible restrooms. Although the stalls are larger and have bars for support, reduced arm strength has made opening the exterior doors all but impossible unless equipped with an automatic door opener. It’s his willingness to speak up about these types of challenges that plague people with various disabilities that may lead Watkins to find a new way to meet his desire to give back and make a difference. Watkins also acknowledges he’s fortunate to have his family’s full support of his decision to avoid relying on a ventilator, including his two grown daughters who visit often. His wife Sharon, a former registered nurse and his primary caregiver, has made life much more tolerable even though she is a busy designer of healthcare facilities with an emphasis on aging and disabilities. She initially had their home built for aging in place and then had the shower modified for his needs. Yet, it’s his faith that brings Watkins the most comfort. 3.) Consider how your decisions may impact your quality of life. Special Note: Whenever possible, it is recommended that ALS professionals be present when people and families coping with ALS view the videos so that questions pertaining to the individual’s unique circumstances can be addressed in a timely manner. It is also recommended that ALS professionals consider each person’s stage of progression to gauge the most appropriate time to view each video.